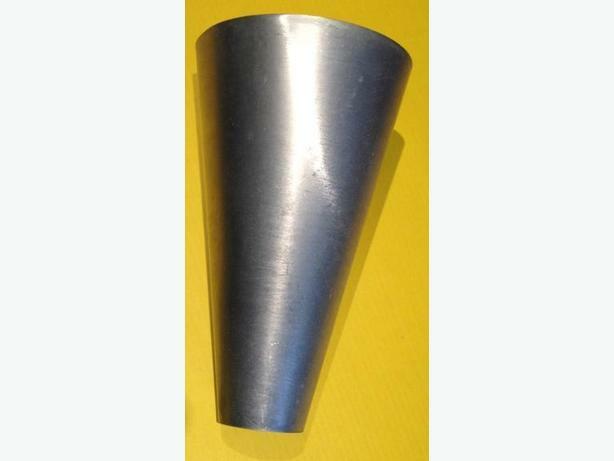 This is a Poultry Processing Restraining Killing Cone in Excellent Condition. It is custom made from heavy gage riveted aluminum sheet. It is 16-in tall and measures 9-1/2" diameter at the top and 3-1/2" diameter at the bottom. Pick up only from Cobble Hill.